You’ve probably heard of grassfed beef, antibiotic-free beef, and organic beef. But have you ever heard of wildlife-friendly beef? The nonprofit organization Conservation South Africa (CSA) is building a new brand, Meat Naturally, where cattle follow a grazing plan that restores native rangeland habitat as the cows munch. When done well, cattle rotations mimic the movement of wild herds like wildebeest that the ecosystem depends on. Corralling cattle for high impact can break soil crusts, reseed native grasses, and trample less-nutritious invasive grass species. Teaching these techniques creates a win-win-win for ecosystems, livestock, and communities. 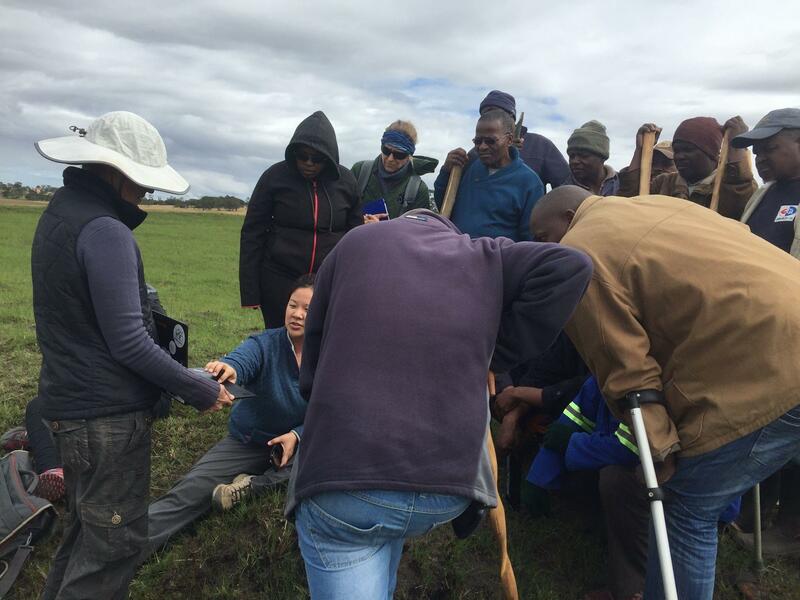 CSA is using PastureMap to monitor their conservation agreements, and PastureMap co-founder and CEO Christine Su traveled to South Africa in August and set up ecorangers (trained herders) in six villages on the app. Graziers will use PastureMap to measure fencing for subdivisions, take photos, monitor grass condition, and record pasture inventories. By mapping their pastures and taking records, these ecorangers will create better grazing plans as they gain insight into their rangeland. The remote monitoring ability PastureMap provides makes a big difference for the CSA team as well. Currently, team members drive up to four hours from the urban center on rocky roads to visit these villages. Community organizations are doing great work here training pastoral communities to do grazing planning and management, but that is not the only area this partnership is leading in. Meat Naturally even uses their own solar-powered mobile abattoir. 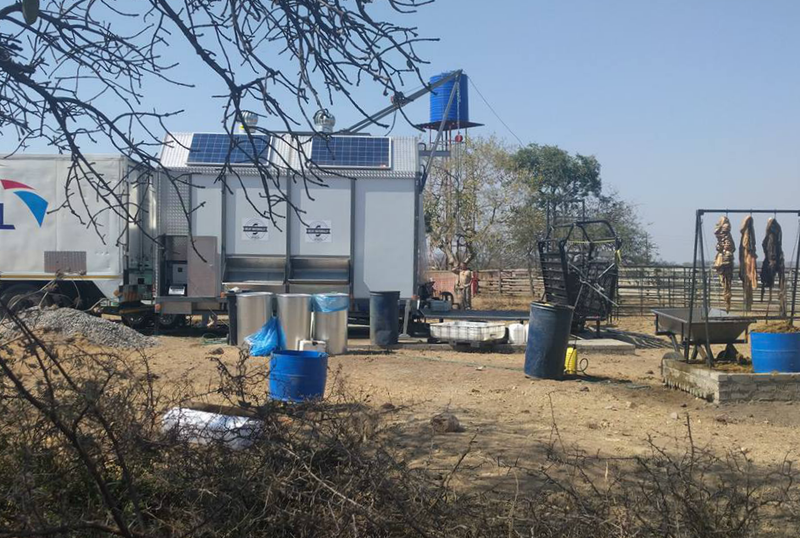 The abattoir empowers local producers with the means to process their animals on-site, no electrical outlet needed. Meat Naturally’s solar-powered mobile abattoir. PastureMap co-founder and CEO Christine Su trains CSA ecorangers on PastureMap. Pesh is an ag specialist with Conservation South Africa and has extensive rangeland experience. Here she is training two herders in the Eastern Cape. They will be responsible for taking photos with PastureMap every week to monitor a rested area after a graze to see how long it takes to recover. Pesh can see the photos and advise even when she’s far away. 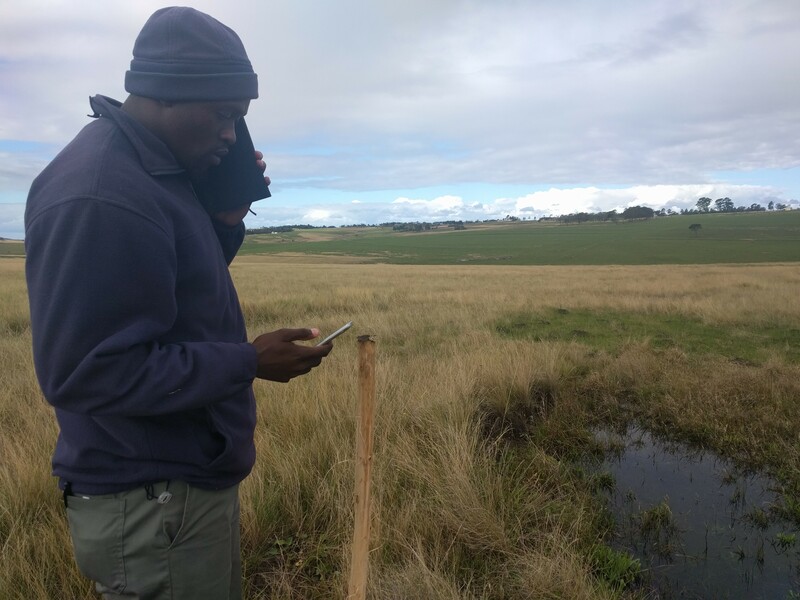 Sibusiso is from Conservation South Africa and is a field trainer who will be helping local villages along the Eastern Cape where he’s from. 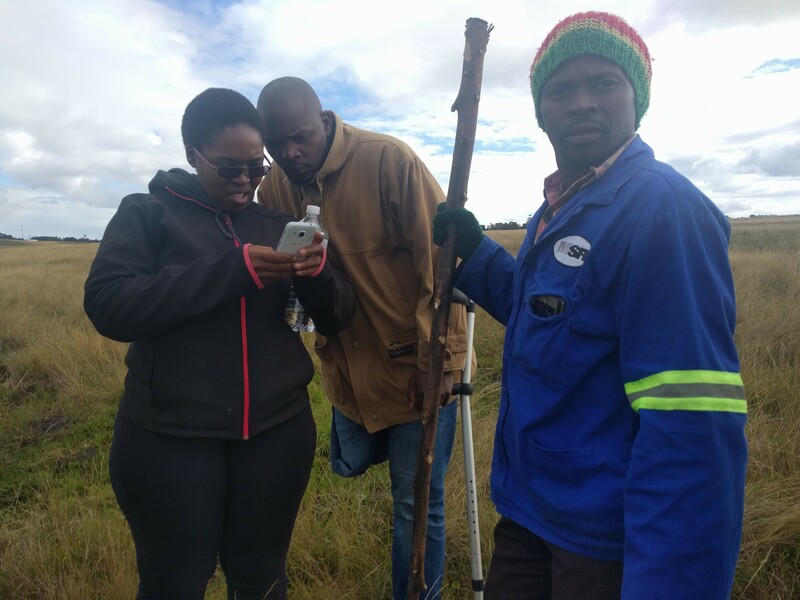 He uses technology to monitor the restoration of native grasslands. By moving fencing, they will be able to move native grass seeds to degraded areas to restore them. Sinegugu Zukulu is a conservationist at Pondoland in South Africa working with Conservation South Africa. 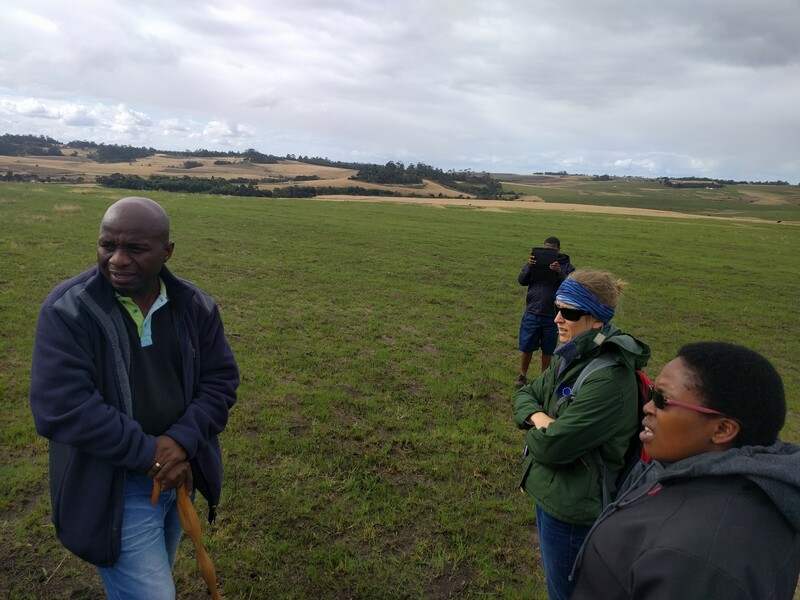 He has worked to protect the Wild Coast for decades and now is helping neighborhood villages raise livestock sustainably while improving the native grasslands. He is like an encyclopedia for native plant identification. We had a lot of fun going around with him and learning names and medicinal uses for native plants in Pondoland.